It’s been a terrible decade or so. Flecks of blood splatter the hands of everyone who panders to racism, distrust and hate: Trump, Farage, Cameron, the Sun and the Daily Mail. But it’s also on the hands of the supposedly neutral, good, people who are afraid of offending racists because they want their money, or votes. Casual racism, small pieces of hate, or general othering that goes unchecked or is pandered to creates a climate where division is the norm and the mould of active dangerous hate can fester in the cracks. 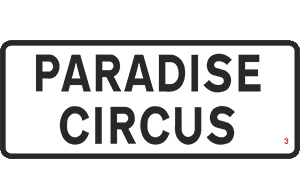 Paradise Circus quite regularly takes the piss of the comments on the Birmingham Mail’s Facebook page: “get in and read the nice story before the racists get there,” we’ll say. There are worse places too, the mention of travellers on the Bearwood Page on Facebook is the starting gun for vile behaviour. Once in a while it might happen on one of our channels, we find attack the best form of defence. But right now tolerance across the board is needed. Nothing seems to be getting better, it’s getting worse. This comment has currently had over 100 likes, it has also attracted comments taking on the poster, but no action from the commercial guardians of the space who are making profit out of the decisive and hateful activity on their forum. This is the norm, comments are awash with references to ‘the moslems’, to ‘pikeys’, or ‘scum not fit to live in this country’. This isn’t to single out Birmingham or the spaces mentioned, particularly — the pattern will be repeated elsewhere — it’s just these are the ones we see. This is our internet, the connected form of our — we tell ourselves — tolerant city. And it’s horrible. It does seem to be a particular problem with how communication has evolved online. Consider the difference between slander and libel: libel is a written or published defamatory statement, while slander is defamation that is spoken. The legal split here is about the medium rather than the message, and where we say things: and that’s because the damage done is dependant on the audience. We now have private-public spaces, our social media accounts, that we treat like a conversation in private, but which are in all practicality actually public. It’s a truism that people say things ‘down the pub’ that they wouldn’t say in public, the ‘racist nan’ is a comedy staple, the world would be a better place if we could challenge these attitudes at source, every time, but it’s understandable that we don’t. We may unfollow acquaintances that repost Britain First messages on Facebook, but by and large we forgive them for they know not what they do. But there is a difference when an organisation becomes the host of the conversation. These spaces are owned, supposedly curated and that brings responsibility, a duty of care to provide a decency of discourse. At the moment the comments on these arms-length social media accounts are a cesspool of casual and active racism, hate and intolerance. Whether commercial (especially commercial) or just amateur (in the Corinthian sense) but aping the register of The Press, there is a need for debate in these places to be held to a good standard. If you play at newspapers you need to play by the same rules. If there is hate the response must be to challenge or delete — to challenge is better, to delete is passable. Anything else gives free platform to hate. 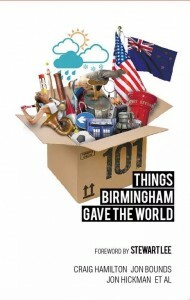 Birmingham Updates, for example, is a small but very popular local media outlet: growing from one man and a Twitter account, it now has a huge Facebook page, a website and the beginnings of a commercial operation. One would guess that the moderators are still pushed for time, that they can’t look at every comment: but if they want this to be a business they need to. Because sometimes the comments are vile. None of these organisations would say they don’t stand up for decency and respect but it doesn’t seem they are doing enough. It’s possible that there’s a professional reason for not doing so, or a ’professionalism’ of amateur publishing. Driven by the desire to get clicks and shares for kudos or advert views the content tends towards the lowbrow, the scared to offend. Without resources to moderate, and no real understanding of standards, hate goes unanswered and undeleted, the hosts scared of losing engagement. We probably need new laws to deal with the new media, new definitions of slander and libel that take into account the nature of the sphere within which the message is distributed. But more than this we need every publisher of every stripe to take more responsibility. Political correctness shouldn’t be a dirty phrase. If you are educated that a form of words offends and that there are others you can use that don’t, then the continued use is deliberate, the offence is deliberate. It’s not the direct attacks that really poison our online debate, those we know are wrong and can hopefully deal with. They are the turds in the reservoir that can be netted. It’s the low level bacteria unseen in the water, the Weil’s disease of hate spread by the indiscriminate piss of animals that don’t know any better — that’s what’s going to kill us. If you’re going to do this you need to do it right — or you become as toxic as the Sun or the Daily Mail. It’s not a stifling of free speech, racists should be marginalised. Hate should not be given your platform. Every fascist, every hatemonger, every political assassin is standing on the shoulders of casual racists left unchecked.